While the most recent economic results show a deceleration from 2017, Morocco’s overall picture continues to look stable: the central bank expects the country to end 2018 with 3.5% growth, a substantial figure, though down from 4.1% last year. Sentiment also remains strong among the country’s business leaders, as indicated by our latest OBG Business Barometer: Morocco CEO Survey. Of the 106 CEOs we surveyed, almost three-quarters have positive or very positive expectations of local business conditions in the coming 12 months. 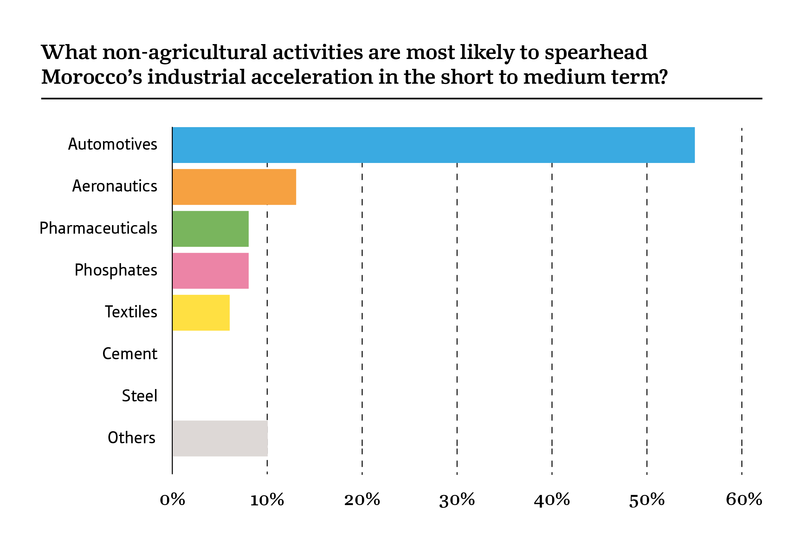 Aside from non-agricultural activities, CEOs expect industrial acceleration to primarily stem from automotives.